Joey Feek decided to cease her Cancer treatment, but she never gave up on living every moment she had left to the fullest. When the nominations for the 48th Annual Grammy Awards were announced on December 8th, and Joey + Rory were surprised with a nomination for Best Country Duo/Group Performance for their song “If I Needed You,” it gave Joey Feek a new goal. She wanted to live to at least make it to Grammy day, February 15th. Joey Feek was first diagnosed with cervical Cancer shortly after the birth of the couple’s daughter Indiana in June of 2014; Indiana was born with Down Syndrome. But Joey and Rory’s faith never wavered, despite their story unfolding like a tragedy whose every next turn became more unbelievable and tragic than the one before. Joey was hoping to be well enough to attend the Grammy Awards with husband and singing partner Rory, but as February 15th approached, it became evident that would not be possible. In the end, their names weren’t called. Little Big Town and their highly-decorated song “Girl Crush” walked away with yet another award, but Joey + Rory had already won. Joey Feek had accomplished her goal, despite the odds. She had made it to the Grammy Awards, she had made it to the release of their latest and final album Hymns That Are Important To Us on February 12th, and she had made it to one more Valentines day with Rory. And along for the ride has been fans of country music and beyond, who have found infinite inspiration, hope, and wisdom through the Joey Feek story. Just curious if LBT acknowledged them in their speech? If I recall correctly (yesterday there was lots getting crammed in my brain in a very short period), I do believe they acknowledged Joey + Rory and the other nominees in their speech, but they didn’t say anything specifically about Joey’s illness or anything. I don’t particularly blame them for that. There’s so many awards given out in the pre-telecast that there really is little room for lengthy acceptance speeches. I’m not going to get mad at Little Big Town because they won. As I’ve been saying, this was obviously a sympathy vote, but that doesn’t mean Joey + Rory still didn’t deserve it. those aren’t talented people. those are losers, losers who ruined Country Music. Out of the 3, Blake is the only one I have a problem with. The other two I’m pretty much indifferent to. But of course Joey+Rory are going to take the high road and not spend any of their remaining time together on any negative energy. Let’s face it. They are better people than most of us. I’m ashamed that I didn’t pay much attention to them before all this. So glad that’s what you took away from this post. Your response shows what a true loser looks like. The first shall be last and the last shall be first. They WIN. Just glad Joey didn’t make the in memoriam segment of the show. Does anyone know how much longer Joey is expected to have? This is still heartbreaking, and the longer she lasts, the more I’m hoping that they’ll wake up one day and her cancer will have vanished or gone into remission. A long shot, but stranger things have happened. 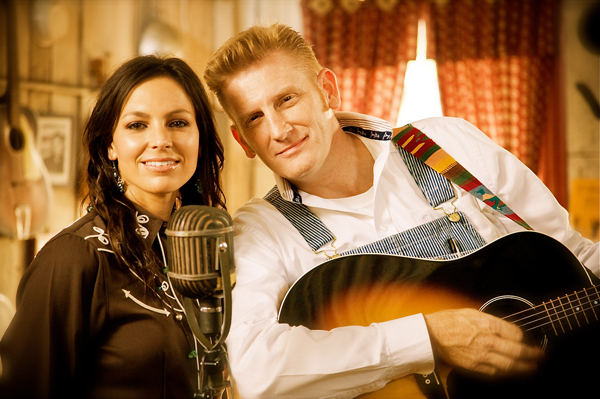 Prayers for Joey + Rory. With cancer, it’s impossible to predict how long a patient will survive. I guess it depends on how far it’s advanced. My Dad lasted 8 months after his cancer (brain tumor) returned. There are doctors who will try and tell patients “well, you have 6 months” but it’s just a guess. They don’t know. “And we will smile at each other and wonder how in the world we got so blessed. How we”™ve come so far without going anywhere at all.” Such a beautiful, profound quote.